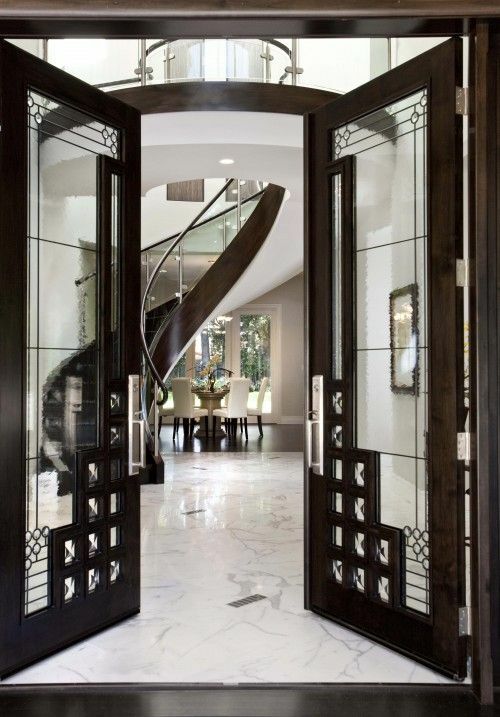 Your entry is the first thing people see, and it should already leave an impression, not only the interiors. 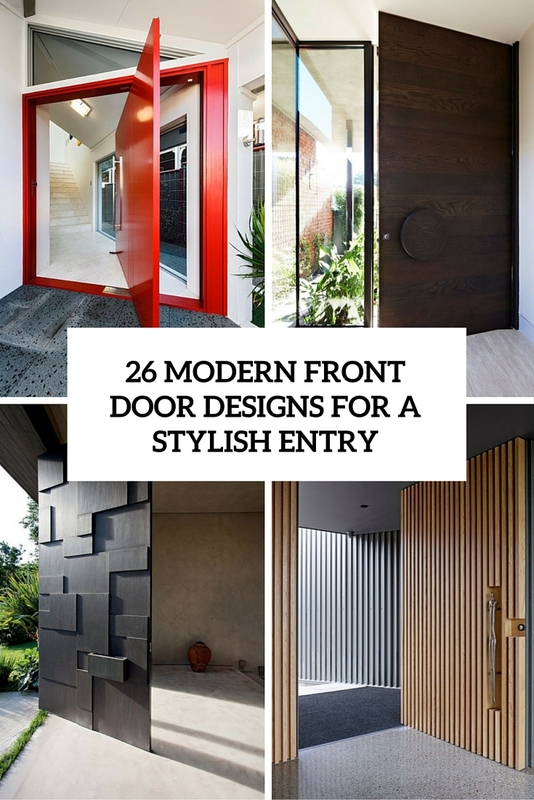 A front door is the most important piece of design here, especially if there’s no porch. 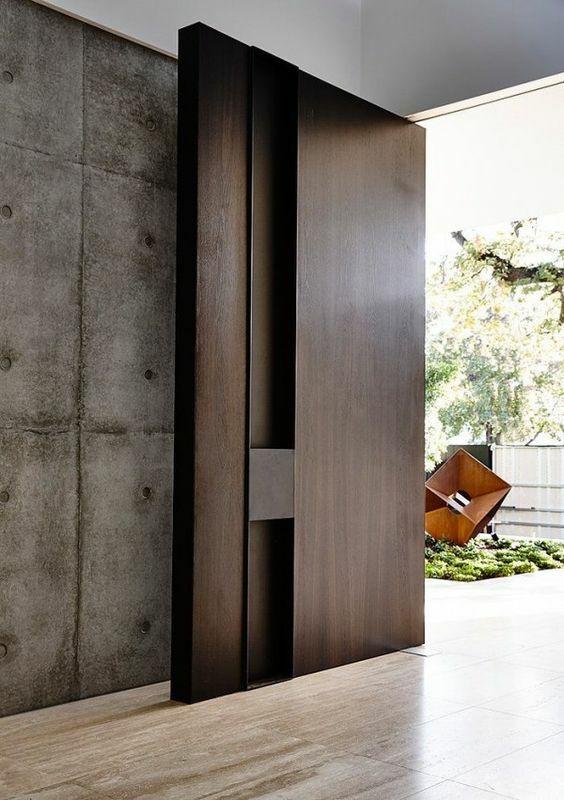 Of course, it can be neutral and quiet-looking but you can also find a very stylish modern option to rock. 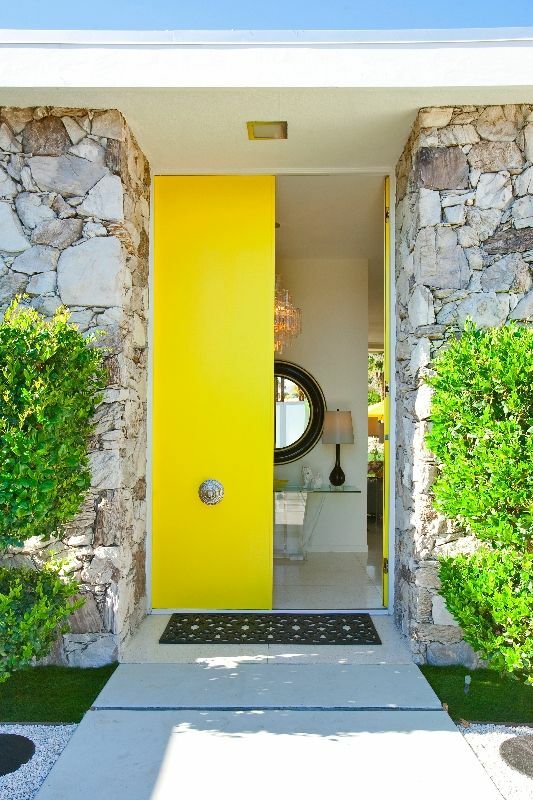 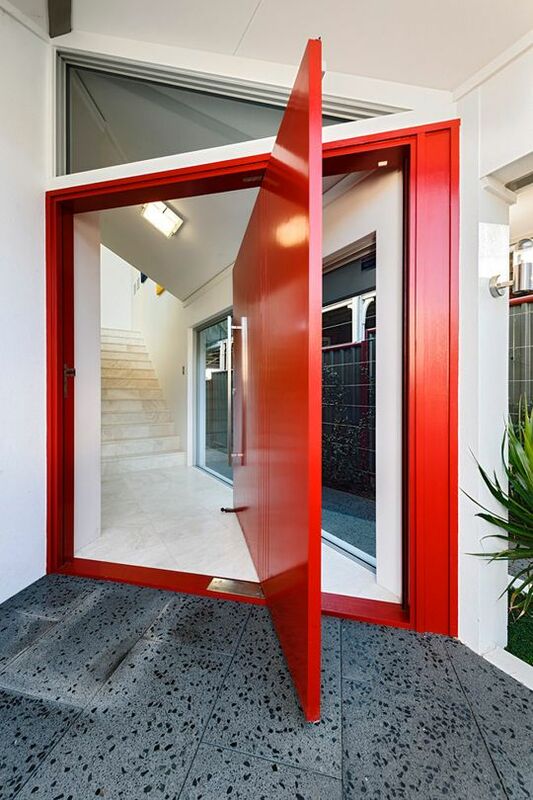 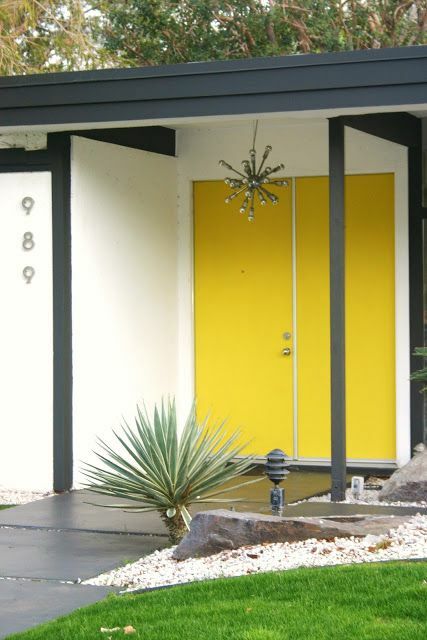 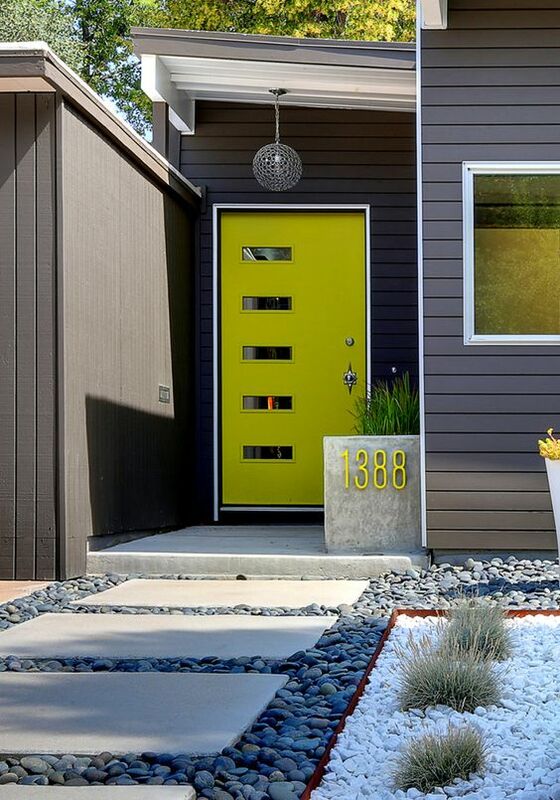 Bold and colorful front doors are one of the modern exterior trends. 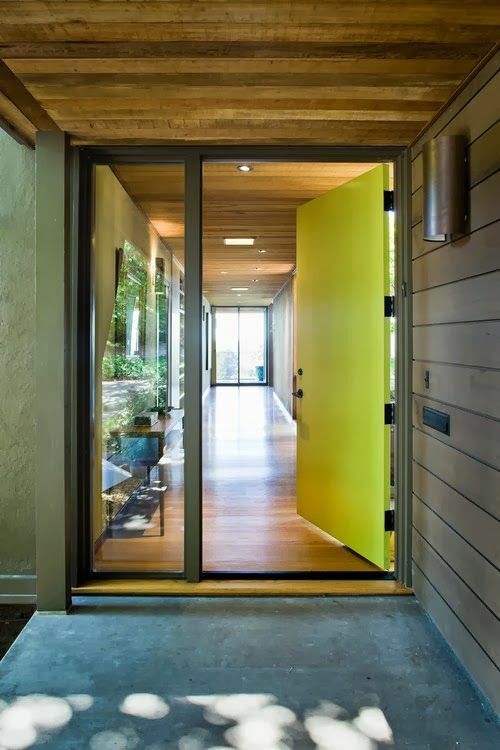 Choose a contrasting shade like yellow, blue, red, neon tones and paint your metal or wooden door, it’ll look stunning! 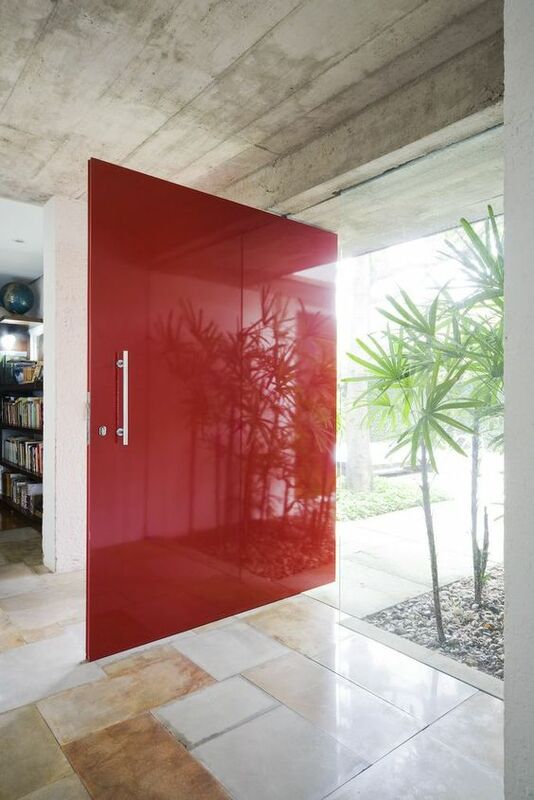 Colorful glass panel doors also look amazing and very smooth and sleek, which gives your entry an even more modern look. 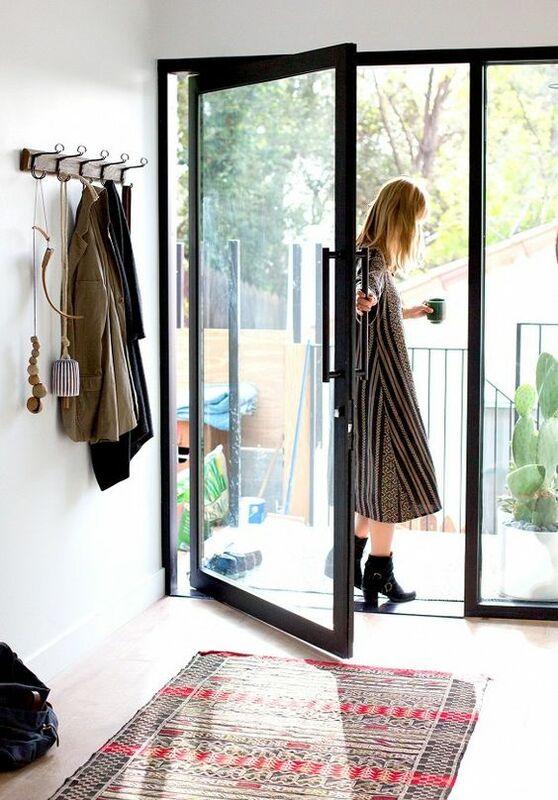 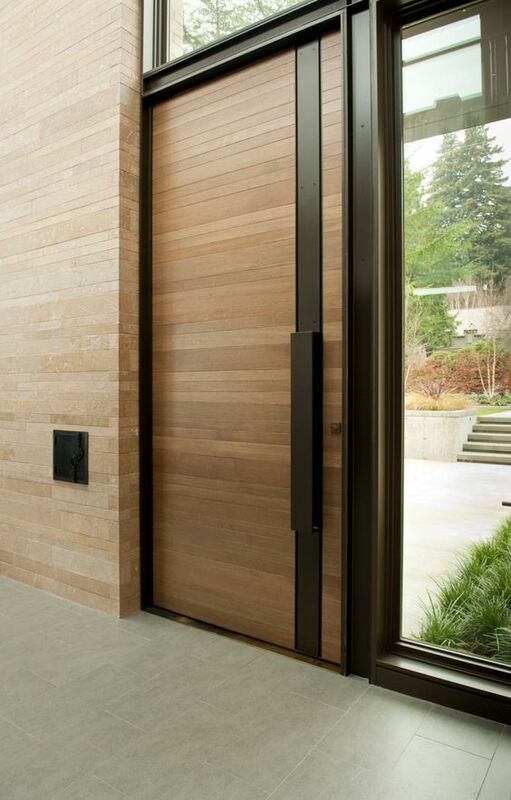 Making such a door a pivot one is a trendy idea. 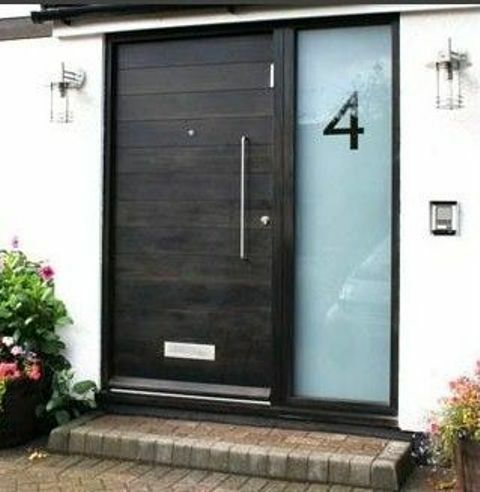 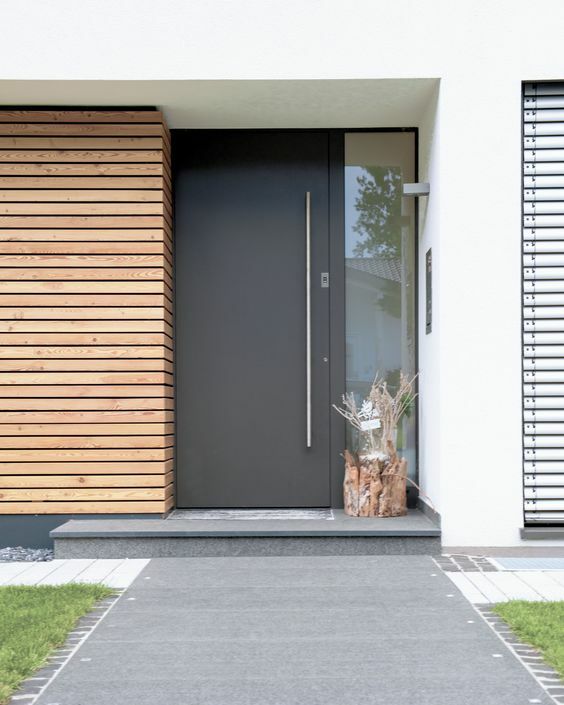 Steel and glass are the most popular materials for creating modern looks anywhere including front doors. 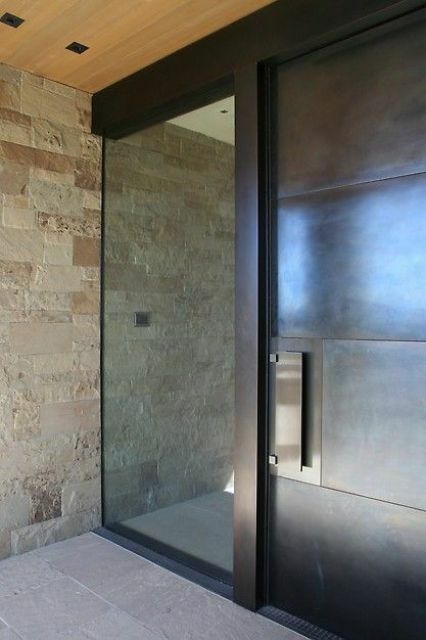 Choose doors where one part is done in glass, usual or etched, and the other is made of dark steel and you’ll get a cool look. 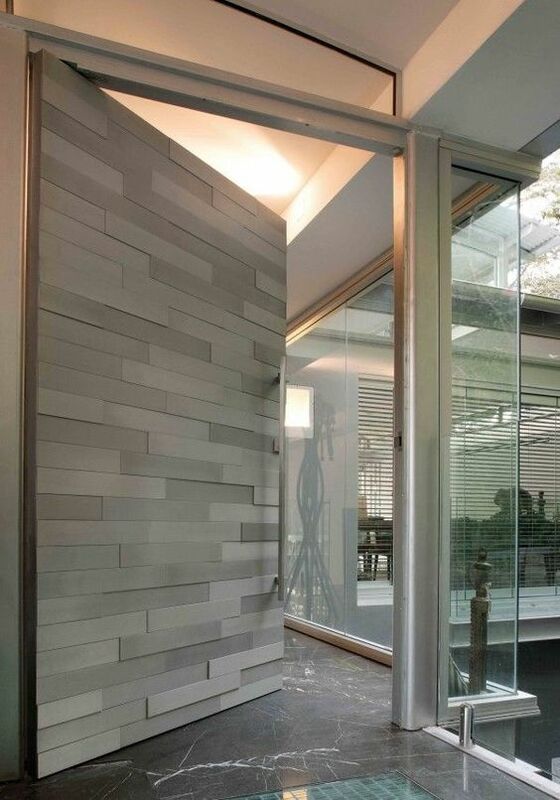 Glass can be also mirrored to keep some privacy. 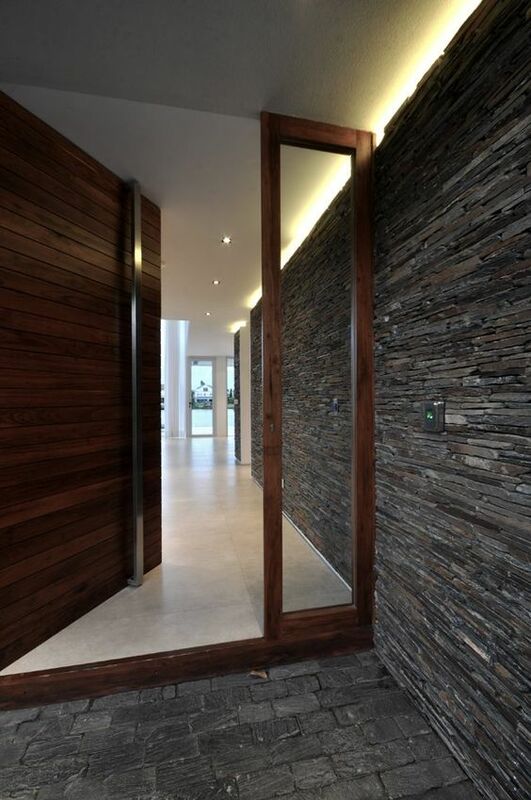 Wood can also be modern and chic, especially if you take it in dark colors. 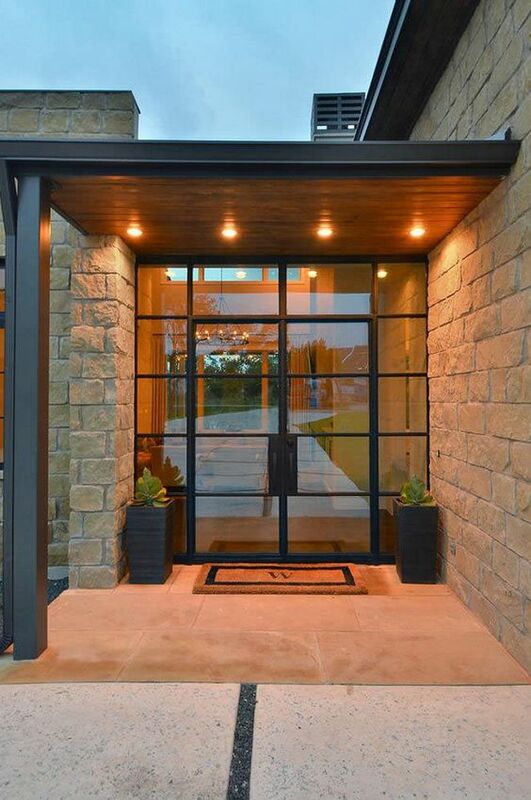 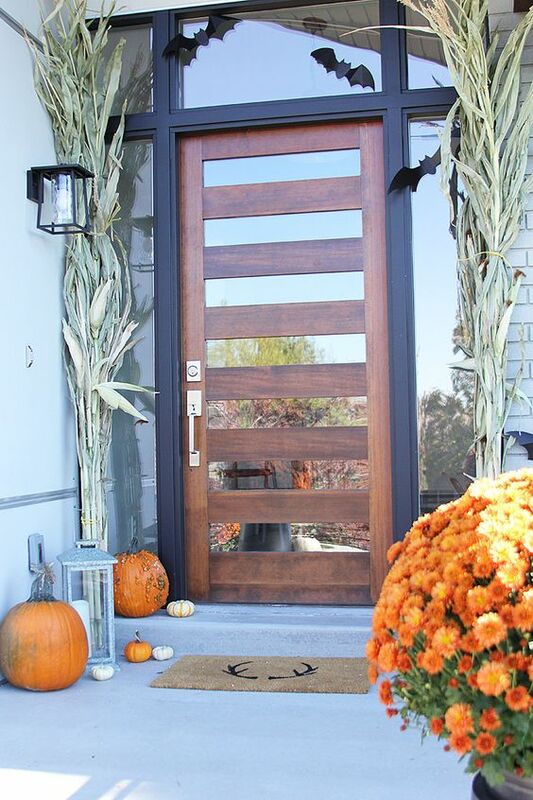 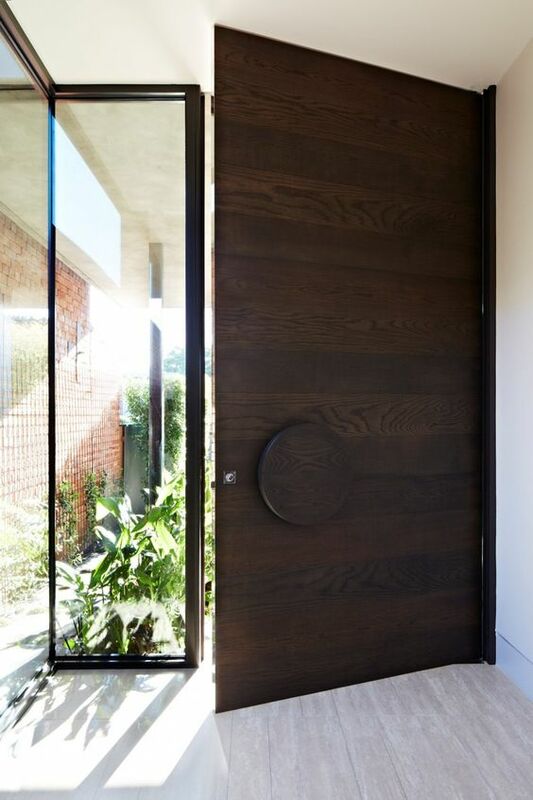 Oversized dark wooden doors are a great idea for any entry, just add a stylish handle. 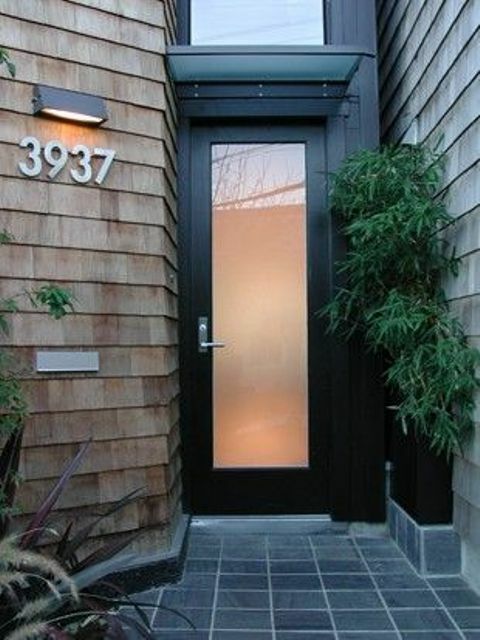 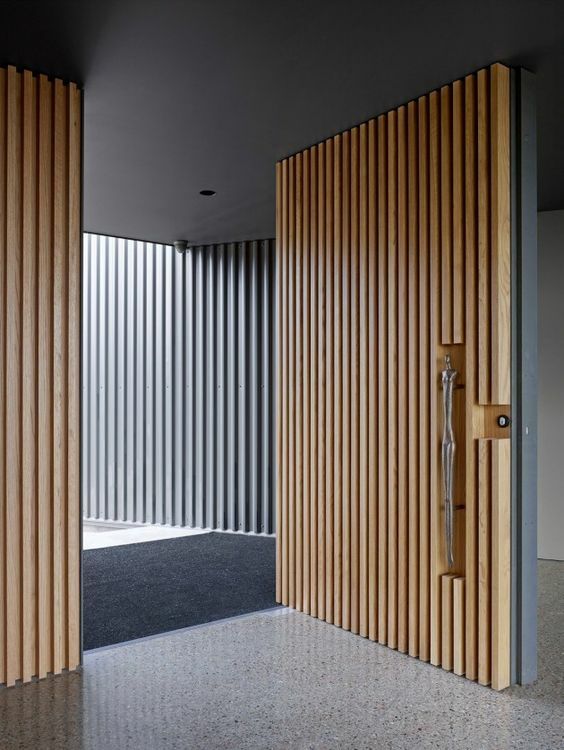 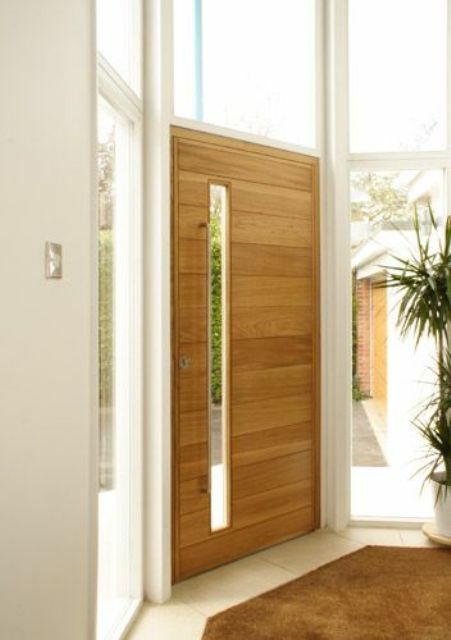 You can also pick a front door covered with separate wood panels for creating a textural look. 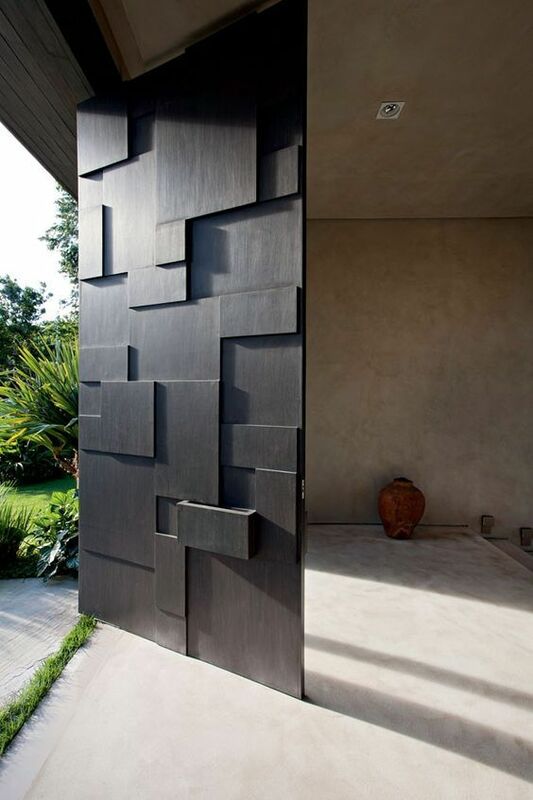 Sculptural front doors are another cool idea, here the door is like a work of art, a masterpiece. 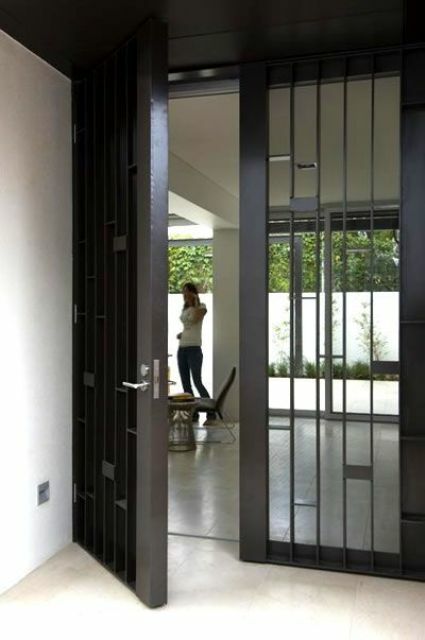 The materials are up to you: metal, wood, glass or any other, the main idea is having a modern design. 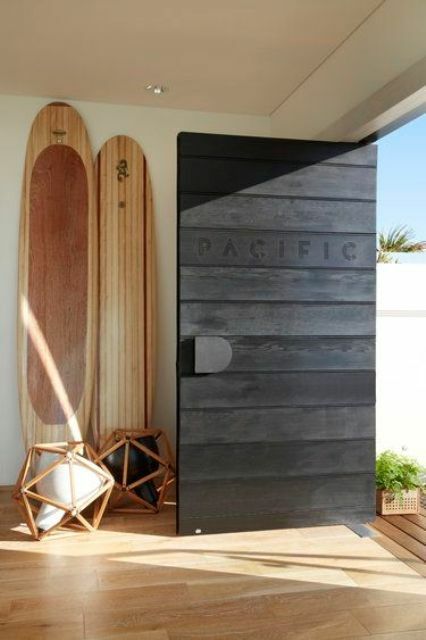 Sculptural wooden panels or metal pieces will make your door unique and unforgettable.